Marketers are turning to tech companies to aid in their experiential marketing efforts to help their brands and events stand out from the crowd. In this episode, Shari speaks with Steve Alexander who is an emerging tech expert and the CEO of MVRK. 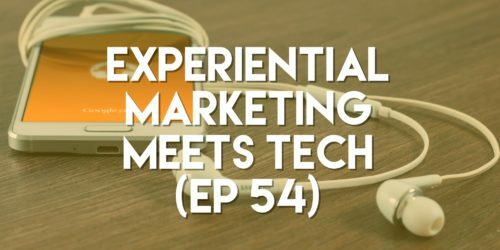 They discuss the technology behind in-person marketing experiences and tips to make a brand experience go viral.